With an overwhelming show of support when Splashdown closed last year, Executive Hotels and Resorts has responded by giving the Lower Mainland a totally revamped experience set to open in just a few days. 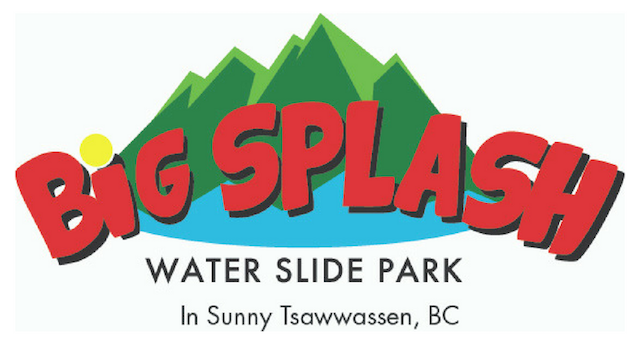 The 7-acre Big Splash Water Slide Park in Tsawwassen will introduce newly renovated pools and hot tubs, a new clubhouse, Vegas-style cabanas for private parties, BV’s Sports Bar and Grill, and much more. With the re-opening of the park, there will be an added convenience of a daily complimentary shuttle service to and from Downtown Vancouver. With new landscaping, park layout and a sun splash patio with umbrella furniture perfect for sun-bathing or picnics, Big Splash promises to bring something new to the region. “We are building on top of the foundation that Splashdown built, and are adding a whole new look and feel to the water park for 2017,” says GM Harold Frederiks. There will be a new, large adult-only hot tub along with adult-only Las Vegas style VIP areas, with a DJ and private viewing decks. All-day passes to the attraction will be $28 and special group rates will also be available. Admission will be free for children three-years-old and under. Follow Big Splash on Facebook, Twitter, and Instagram for the latest news and info this season.